A good educational app that contains tons of books and various educational tutorials on different topics is always a great idea. Those kind of books can be interesting to read and can really offer continuous professional development, especially if they are relevant and contain useful information. One of the really rare educational apps that contain books on over 500 topics is certainly the Android app - O’read. This outstanding educational book & reference app was recently introduced on Google Play. With its idea, content, design and features, this app has quickly earned critical acclaim and acquired positive feedback from its users. O’read offers more than 500 different topics which you can have on your Android device. Each topic is well researched and includes relevant educational material. In the app you will find topics like: engineering, science and technology, management, health & fitness, computer science and many more. The great thing about o’read is that is available both online and offline. You can search and explore, find the educational material that suits you and you will have quality reading and educational material available both online and offline. All you need to do is register and you will be able to use the benefits of o’read. Another neat feature of the app is that when you register, you will get a sample topic for free. You will be able to chose the topic for which you will get free samples. These sample topics will help you determine whether the other sample topics are good. O’read will also enable you to personalize it. You can make the app to be organized as you want and according to your own needs. You can search and add your favorite topics and share anything on social media. Technically speaking, the app is clean, beautiful and well designed. Everything is smooth and intuitive. Get o’read for free on Google Play. Flipping Ninja is a new iOS game that we want to offer as a great option for relaxing and challenging gaming entertainment. It is one of the best new arcade retro games for iOS devices because it is unique, features great cool character and it is beautifully designed. The game is very dynamic, there is a lot of jumping and falling and you only need to prove that you are the best ninja in town. Gifs, slow motion loops and short videos will practically be future of social media, especially now when Facebook introduced auto-video and is giving videos and gifs much better reach than photos or text. Mo is an iOS app that will help you create such gifs, action shots and short videos. Intended for extreme sportsmen, Mo makes the creation of a video or a gif really easy. However, Mo can be used by anyone and can truly boost likes and follows on Facebook and Instagram. To make the job a lot easier for the end users, the developers did a nice job making Mo extremely easy to use. All you have to do is capture a moment and you can share it instantly on social media from within the app. You can also send them to your friends or family via iMessage, Email and Facebook Messenger. 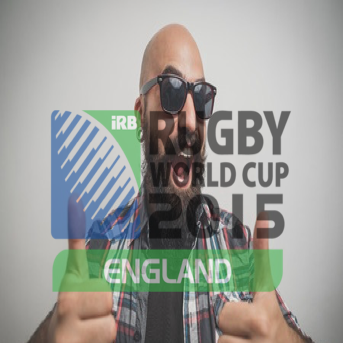 As a sport enthusiast I can confirm that this is a great app. Practically one of the best slow motion loops creators out there. The user experience is amazing and while I created numerous gifs and videos I never had any problems in terms of functionality. The app is free and available on the App Store and although it was released only 10 days ago, it is already getting a pretty good feedback from iOS users. 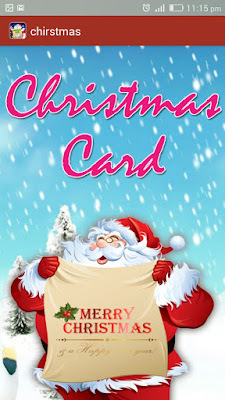 Celebrate Christmas by creating and sending personalized Christmas greetings cards to your loved ones. I have seen many apps but this is one of the best app for Christmas greeting cards you can add greeting message and can share any one on with your warm wishes. Super is relatively new home services app that has quickly gained critical acclaim from many users of iOS and Android. This home services app will help you get home services like handyman, electrician, plumber, maid or heating and air pro with one tap. However, it is great for the pros as well, because they can also register through it and get notified when some one in their area is in the need of their services. In most cases applications used to secure data on a smartphone are very complex to use and to retrieve stored information. Due to this complexity many people prefer to do away with them. Time has come that you will not be required to be a tech savvy to retrieve information from your smartphone. With the Leo privacy application, you get all you have been yearning for. Texting Cup - is a mobile speed typing game where you can compete in your typing skills with players from all over the world. There are many speed typing games out there. But none of them offers a real multiplayer experience. They all offer boring single player game modes. But not Texting Cup. GPS trackers can always be a great solution for any family. Children can get lost, elderly could go missing and teenagers can get attacked and get in unsafe situations. Recently I found one unique extremely useful device, which I want to strongly recommend to any family. I’m talking about SmartBeltz - a GPS belt buckle, so light, beautifully designed and comfortable to wear, that the person wearing it wouldn’t even feel it. When our favorite team is playing on a championship there isn’t any real way to express our support through our profile photo. Same goes when our favorite band is playing in our city or when you want to show your passion for certain movie, TV show or support for a cause. But, everything is changed with the introduction of Frontdrop, iOS and Android app that will change the social media! With Frontdrop, you can easily blend any photo into your excisting photos and make them look like you are supporting anything that you choose to support. The great thing about it is that you can do that for anything and you can do that easily. Whether it is your current profile photo or a new photo you’ve just taken, the customization features of Frontdrop will enable you seeming less edit of your Facebook profile photo. 2. Find an overlay photo with the in-app search. It can be the badge from your favorite sport club or the logo of your favorite band. 3. Adjust the transparency according to your preference and upload it to Facebook or save it in Gallery for your own use. It is as simple and as easy as that. Express your passion on Social Media with Frontdrop. Get it on the App Store or Google Play. Jelly Cubes Mad is a new matching game that is available for Android devices. In this short review we will present you this cool game, which represents a cool match 2 game. All you have to do is tap on two or more jelly nearby to destroy them. The game requires scores that you need to get in order to pass the level. Casino Live is an iOS game that has recently caught our attention with its lovely content that is perfect for casino game lovers. It is one of the best casino games we have played in the last month or so. Why? Because it offers the complete casino entertainment. From Free Slots, to Black Jack and Roulette, you name it, this game has it. On top of that everything is so beautifully created, interesting and well-thought. November 2, 2015, Sunshine Coast, Australia – Frontdrop, the app that will enable you to express yourself on Facebook in few simple taps has just been released to iOS. The app has been available for Android for few weeks, but now Frontdrop can be used by both iOS and Android users. Frontdrop is a tool that will enable you to share your passion with your Facebook friends. Whether it is your favorite sport club, movie, song, place or maybe a singer, Frontdrop will enable you to enhance your profile picture and make it look unique! It is an app that will enable you to express yourself! All you have to do is blend, overlay and share your images to show your support and passion. “I came up with the idea when wanting to show my support for my international football through my profile picture on social media. There wasn't any app out there that allowed me to easily create an overlay of my clubs badge and so 'Frontdrop' became a thing. Very fast we created the Android app and few weeks later we did the iOS version that was published recently”, stated Grant Morris, the creator of Frontdrop. Frontdrop offers great simplicity and speed. You can easily search the photo or logo of your passion and instantly overlay it over your profile photo, or any photo you desire. Frontdrop offers blending customization features that will make your photos look better. The photo can be directly uploaded to Facebook or you can save it in your gallery, which means you can share it on any social media. The app costs little above $1 and you can get it on Google Play or App Store. 1 November, 2015. Pompano Beach, FL Created by the Florida based developers My Guides, Inc in collaboration with The Frida Kahlo Corporation. Frida Kahlo - The Official App is an Android, and soon iOS, app that is dedicated to Frida Kahlo. There are several apps about the famous and iconic Mexican painter, but this one is official because it is created in collaboration with The Frida Kahlo Corporation.